Autumn sewing is well and truly underway, as evidenced by the #SewingSocial chat which basically hijacked Twitter the other night. So lovely to chat to you guys! Autumn Sewjo firmly established, I cut out a simple everyday Breton dress - inspired by this one but slightly more fitted. The fabric is a stable knit, which I'm pretty sure I got from Simply Fabrics in Brixton. 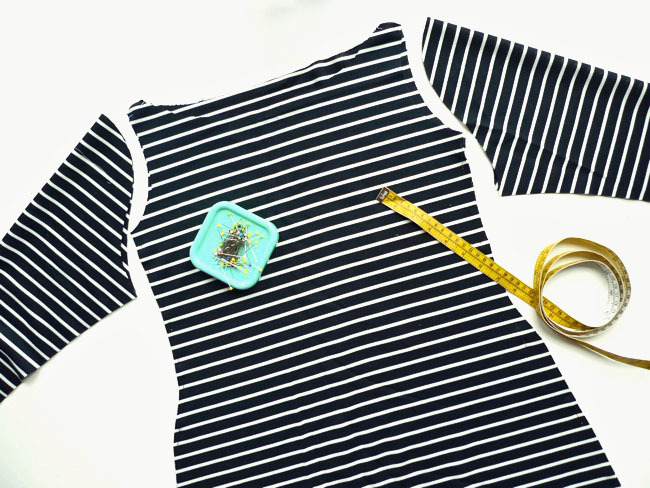 I drafted the pattern, using the bodice from my beloved Nautical Knit Dress as a vague starting point, lowering the sleeve crowns to make them look more casual and lengthening the bodice into a slightly A-line dress. Well, that's Plan A in any case. This dress is a bit of an experiment, and if it looks rubbish on me, Plan B is to cut it into a simple Breton top. I haven't yet decided how to finish the neckline. I'm not a massive fan of neckline bindings, so I'm thinking of either simply overlocking the raw edge, turning it in by a few mm and topstitching it, OR making a facing and topstitching both the top and bottom edges to the bodice so it doesn't roll out. Maybe even a contrast facing as a feature? Or perhaps I should wait and see if it works first! 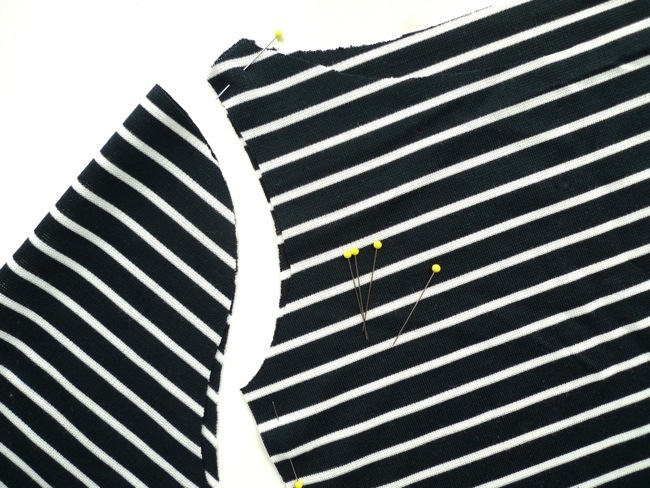 Do you have your favourite method of finishing necklines on knits? PPS. ...speaking of supporting indie sewing pattern businesses, Colette Patterns, in case you hadn't heard, is currently running at second place in the Martha Stewart 'American Made' contest. They would love to have your vote, so if you'd like to support them, vote here. PPPS. (The final PS, promise!) At the end of the Twitter chat on Sunday, it was suggested firstly that we make them more regular, and secondly that we use the hashtag #SewingSocial in between chats whenever we want to connect to our fellow stitchers in a tweet. Perhaps you want to share your latest creation or ask a question about a particular technique. 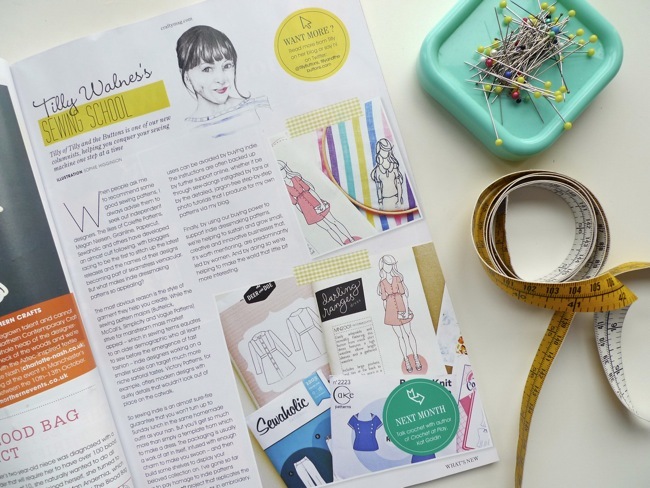 Try using the hashtag and our virtual sewing circle may well come running! So yes, that also means we should all make an effort to look up #SewingSocial on Twitter every so often and see what's going down. Awesome!